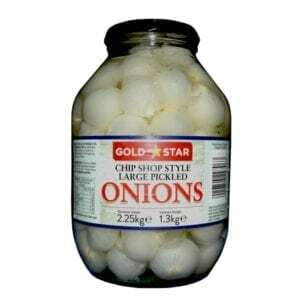 Pickling onions, hand peeled and graded in specially formuated vinegar for use in the chip shop industry. 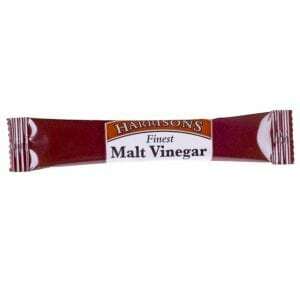 The flavour profile is more pickled and less salty than the blue label smaller sized onions. 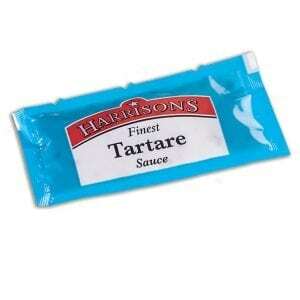 A great compliment for Fish & Chips.